Illumination already has two multi-billion dollar animated franchises with Despicable Me and its spinoff, Minions, and that doesn't even count how much these will make in merchandising forever. After the $875M haul for The Secret Life of Pets they may have a third franchise that we'll be talking about for years, because if there's anything people love it's talking household pets. Terrier Max (Patton Oswalt) is coping with some major life changes. His owner (Ellie Kemper) is now married and has a toddler, Liam. Max is so worried about protecting the boy that he develops a nervous tic. On a family trip to a farm, Max and mutt Duke (Eric Stonestreet) encounter canine-intolerant cows, hostile foxes, and a terrifying turkey, all of which only elevates Max’s anxiety. Luckily, Max gets some guidance from veteran farm dog Rooster (Harrison Ford, making his animated-film debut), who pushes Max to ditch his neuroses, find his inner alpha, and give Liam a little more freedom. 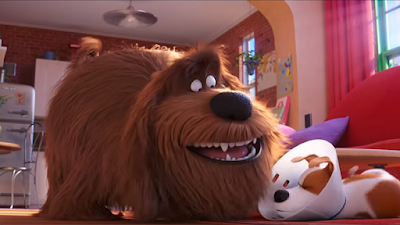 The Secret Life of Pets 2 opens June 7th.